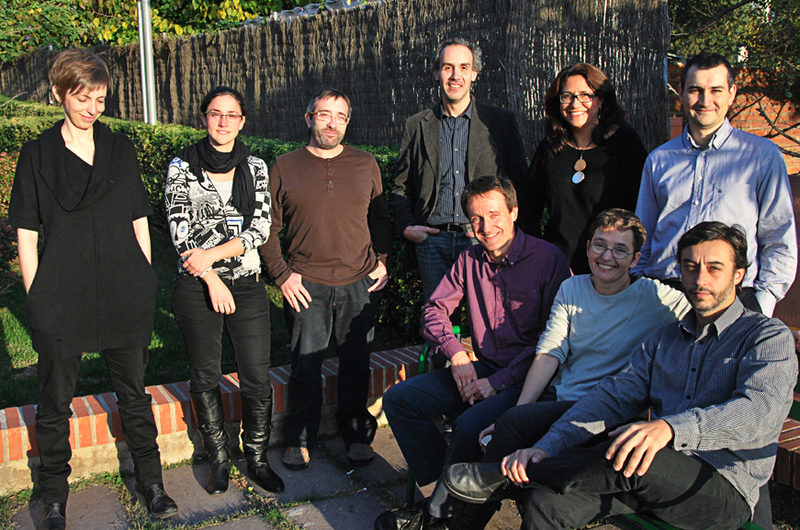 From left to right: Romina Canna, Marta Benages, Joan Solà, Oscar Carracedo, Pere Vall, Carmen Mendoza, Bet Alabern, David Martinez, Álvaro Cuellar. Our core faculty comprises the Urban Design and Regional Planning Lab (LAU), which was established to provide an open platform for research, education and the dissemination of the existing innovative knowledge in the area of sustainable design of a collective human habitat, from the micro-urban to the macro-territorial scale. The professors of the Department of Urbanism at the ESARQ-UIC bring reflections from their varied experiences and professional and academic backgrounds to the LAU. LOCAL: Commitment to specific social and physical conditions of the place. GLOBAL: Connection to a network of international knowledge and expertise. MULTIPLE SCALES APPROACH: Solutions at a regional, city, neighborhood and building scale. INTEGRATIVE: Open processes with a multilayered design and management. In recent years, the efforts of the LAU have been directed at generating theoretical and practical knowledge to design Intermediate Landscapes. LAU is currently promoting publications and research projects around the issue of the regeneration of areas of suburban sprawl, the informal city and cultural landscapes. In this context, the Master in Regenerating Intermediate Landscapes intends to disseminate the knowledge acquired. Architect. Doctoral student in Urban Design and Planning. Her research is focused on perception as another approach to the analysis of landscape, aiming to introduce new ways of understanding and intervening in suburban sprawl. In this field she has published papers and taken part in conferences on territory and landscape. She has developed urban projects and designed open spaces focusing on accessibility and is cofounder of the firm Territori24 in Barcelona, specialized in the promotion of accessibility at the territorial and urban scale. Architect. Master in Landscape Design and Management. Research fellow at ESARQ-UIC. Her research is focused on the social functions of open spaces in suburban areas. She is currently working on a doctoral thesis about the social use and perception of suburban open spaces as lived spaces. In this field she is concerned about rediscovering affective links between places and inhabitants, land and people, in order to recognize new landscapes of collective identity. Architect. Docotoral candidate in Urban Design and Planning from ETSAB. Her research is focused on the potential of infrastructure as an active component of urban space and urban development. She is an adjunct professor at the IE University School of Architecture and Design in Segovia, and has previously taught at the Illinois Institute of Technology (IIT) in Chicago and the UNR in Rosario. She is co-principal of the architecture office R+D Studio, and has served as co-president of the Chicago Architectural Club. Her work has been exhibited in the Burnham 2.0 Exhibition in the Chicago History Museum and her recent projects include a second prize for the Reconquista Civic Center in Argentina and the Space Planning for the campus of the Illinois Institute of Technology in Chicago. Architect. Master in Urban Design and Planning. Doctoral candidate. Associate lecturer at ESARQ-UIC. His research and personal interest is focused on flexible urban planning tools and regulations, urban sustainability and environmental planning, and regeneration and transformation strategies in consolidated urban contexts. Awarded by the Catalan Regional Planning Society (SCOT) for a research project on landscape design guidelines and strategies at the regional scale. Cofounder of the firm CSA (Carracedo Sotoca Arquitectura), specialized in architecture, urban design and planning projects, from the territorial to the architectural scale. Architect. Master in Urban Design and Planning. Professor at ESARQ-UIC and the UPC. He collaborates with several offices in Spain in the field of regional planning, restructuring urban environments and new residential developments, for both public and private clients. He has worked on a range of scales and his main interests are the composition and structures of urban contexts, with a special emphasis on housing and identity. He complements his professional activity with the theoretical study, investigation and academia. Geographer. PhD in Planning and ScM in GIS. Professor at ESARQ-UIC. As an urban planner specialized in Cultural Landscapes, he has worked on projects in Africa and South America. At present he is developing methodologies to bring traditional knowledge to present low density metropolitan planning. Architect. Master in Urban Design and Planning. Assistant professor ESARQ-UIC. His research is focused on the relationship between architecture and urbanism through the study of large-scale social housing projects and the analysis of their structural and visual relationships. He has been Head of Housing and Town Planning Department in Badalona. He currently works for the City Council of Barcelona as urban advisor. Architect. PhD in Urban Design and Planning. Associate Professor at ESARQ-UIC. Her research is focused on physical and social regeneration of degraded neighborhoods in the Metropolitan Region of Barcelona and informal settlements in South America. She is co founder of the firm DAC Arquitectura, Rehabilitació i Urbanisme SLP, in Barcelona, specialized in developing urban projects and the design of open spaces and social facilities. Architect. Assistant professor ESARQ-UIC and ETSAV-UPC. His research is focused on the effect of infrastructure on urban areas. Founder member of the professional office SFCA architects since 2003, specialized in developing urban projects and architecture. He is currently is completing his doctoral thesis on the effect of railway systems in medium-sized cities. Architect. PhD in Urban Design and Planning. Associate Professor at ESARQ-UIC. His research is focused on cultural landscape and regional development. He is co founder of the Llobregat Colonies’ River Park, an initiative of territorial revaluation based on cultural heritage, which has received several awards. In this field, he has developed projects and plans and he has also published several papers. He is currently working on the study of the sprawl repair through heritage networks. Architect. Master and PhD in Urban Design and Planning. A researcher at the National Scientific and Technical Research Council (CONICET) and member of the Territorial Development and Metropolitan Studies Program at the Institute of Geography (UBA), her area of study is focused on recent territorial transformations in the urban region of Buenos Aires and the restructuring of metropolitan centralities. She also collaborates with a multidisciplinary project among different Argentine universities on cultural landscapes and has published over forty articles in urban journals. She has participated in the production of several urban and territorial planning instruments in Spain and Argentina, and she has worked as a consultant for the Inter-American Development Bank (BID). (1) thanks for the link, I’m adding one to your org as well. (2) in my work in biking and transportation planning, we work with a firm based in Barcelona. I haven’t visited them, but if we are successful with contracts in the U.S. I likely will, and perhaps I can visit your institution. I hope so! Thx Richard, we hope you do! Please let us know, we’d love to meet you. Cheers!